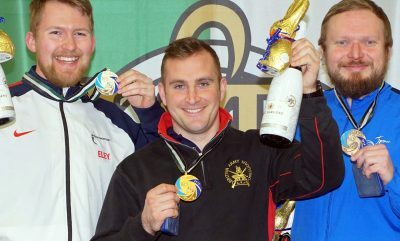 Practical shooter and teamELEY member, Ian Chamberlain is no stranger to the steel shooting set-up. Having been shooting for over 30 years, he knows a thing or two about the discipline and how to blend accuracy, power and speed to create a winning combination. Here, Ian talks us through the equipment he uses and why. “I have been actively involved with the sport of IPSC shooting since 1982. So, over the years, I have used a lot of different equipment. Firstly the most important item, the gun itself. I have used the Grand PowerK22 race since 2016 and I still consider it to be the best LBP for Open division competitions here in the UK. In fact, I have recently bought another and had it customised to my specifications. It has been fitted with a C-Moore red dot sight, mag well & flat trigger. The gunsmith has further modified it to cure the light strike problem that has plagued these pistols and done a very nice trigger job. When it comes to ammunition, I currently shoot ELEY contact for practice & competition use. Due to the standard velocity of contact, the muzzle rise of my K22 is minimal which aids in the dot recovery and subsequent second shot. Safety equipment is also vital in the shooting sports. Good quality always shines through the multitude of selection that is available. I choose to use Oakley shooting glasses and have used them since 2000. I used the M-Frame style with replaceable lenses since then, but for this year I have upgraded to the latest Oakley Tombstone shooting glasses. These are extremely light and frameless. They use a quick release mechanism for the arms so changing lenses can take literally seconds. MSA Supreme Pro-X electronic ear defenders are my choice of ear protection now. I have used several different makes of electronic earmuffs over the years but have never been satisfied. The MSA Supremes were recommended to me as they are issued to some British Army units. I have used them for approximately six months now and I’m very happy with them. They are comfy to wear for extended periods of time and work very well when worn on indoor ranges. 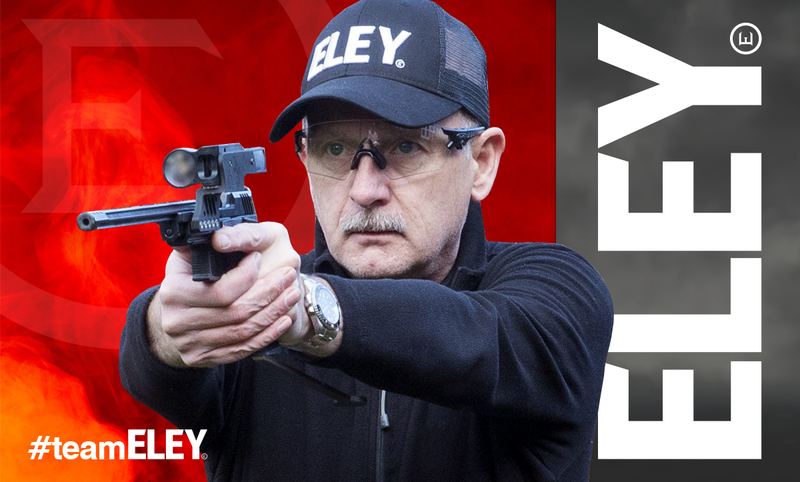 ELEY is excited to have Ian join us at the first ELEY Speed Steel event this coming April. He’ll be shooting in the LBP event where he’ll put his recommended equipment to the test! For those interested in practical shooting in the UK, there is a range of clubs and events you can join. To find a UKPSA affiliated club near you, visit the UKPSA website where you can start your journey into dynamic competition shooting.